Bill Moyers interviews poet W.S. Merwin on the JOURNAL about poetry, life, the environment and the insights he's gained in 50 years as a poet, translator, and writer. Though his style has evolved much over his long career, he has remained influential, receiving nearly every major award for poetry, including two Pulitzer prizes for poetry  in 1971 for THE CARRIER OF LADDERS and in 2009 for THE SHADOW OF SIRIUS. Born in New York in 1927, Merwin embraced verse at a very young age. Growing up the child of a minister in Union City, New Jersey and Scranton, Pennsylvania, his earliest verses were hymns written as a young child. "As soon as I could write with a little pencil, I was writing these little hymns and illustrating them and I thought they should be sung in church," Merwin recalls on BILL MOYERS JOURNAL, "But they never were." Merwin has published 21 collections of poetry, nearly as many books of translations, and numerous prose works. His poetry collections include THE DRUNK IN THE FURNACE (1960); THE LICE (1967); THE COMPASS FLOWER (1977); OPENING THE HAND (1983); THE RAIN IN THE TREES (1988); TRAVELS (1993), winner of the Lenore Marshall Poetry Prize; THE VIXEN (1996); and MIGRATION: NEW AND SELECTED POEMS (2005) which won the 2005 National Book Award. His numerous translations include Dante's PURGATORIO (2000), as well as works by Osip Mandelstam, Federico García Lorca, and Pablo Neruda. Merwin has received, among others: the Aiken Taylor Award for Modern American Poetry, the Bollingen Prize, a Ford Foundation grant, the Governor's Award for Literature of the State of Hawaii, the Ruth Lilly Poetry Prize, the PEN Translation Prize, the Shelley Memorial Award, the Wallace Stevens Award, and a Lila Wallace-Reader's Digest Writers' Award, and fellowships from The Academy of American Poets, the Guggenheim Foundation, the National Endowment for the Arts, and the Rockefeller Foundation. 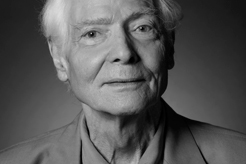 Merwin served as chancellor of the Academy of American poets as well as poetry consultant to the Library of Congress. Poet Coleman Barks is also known for his translations of the great 13th century Islamic poet and teacher, Jalaladdin Rumi. In 2003, Barks appeared on NOW WITH BILL MOYERS, reading three of Rumi's poems. Not only is Rumi's work heard on radio throughout the Arab world, he is a best-selling poet in America. Bill Moyers talks with poet Martín Espada about the power of words to effect social change. Read excerpts of writings collected from Maxine Hong Kingston's workshops with veterans and their families. Biography, poems, translations and writings of W.S. Merwin at the Poetry Foundation Web site. Interview by Terry Gross, FRESH AIR, December 16, 2008. "Why W.S. Merwin deserves his second Pulitzer prize"
by Jay Parini, THE GUARDIAN, April 24, 2009.
by Peter Davison, THE ATLANTIC, August 28, 1997.
by W.S. Merwin, THE ATLANTIC, August 28, 1997. Coverage of W.S. Merwin in THE NEW YORK TIMES. On the heels of winning this year's Pulitzer prize for poetry, W.S. Merwin joins Bill Moyers for a wide-ranging conversation about language, his writing process, the natural world, and the insights gleaned from a much-lauded career of more than 50 years. W.S. Merwin is the author of 21 volumes of poetry and won his second Pulitzer Prize for his most recent collection, THE SHADOW OF SIRIUS. Explore poets and poetry from the Moyers Digital Archive. What's your vision for the future of the American Dream? Our guests and our viewers speak out.